M.D. Herter Norton's Translations from the Poetry of Rainer Maria Rilke marks the conclusion of Nostalgia Week here at Bookphilia - and quite fittingly, although unplanned, on my 35th birthday. I'm not feeling nostalgic about my life, actually; with a few relatively minor wrinkles (metaphorical, at this point) and troubles I don't look back at the halcyon days of any other point in my life. Really, life has never been better, even though it's certainly not perfect. Choosing the final book for my week-long focus on the reads of days gone by, in fact, reminded me of this because it turned out to be so surprisingly difficult. I picked up book after book and quickly put them aside again because the memories they invoked were neither pleasant nor even, sometimes, neutral. This negative nostalgia was something I was really not expecting, especially when it attached to books like A Swiftly Tilting Planet! My nostalgia about this collection of Rilke's poetry isn't purely neutral or positive but it isn't painful. In fact, I sighed a little sigh of relief when I recalled what a bullet I dodged (or, more accurately, which dodged me) - but I'm getting ahead of myself. Norton's Translations from the Poetry of Rainer Maria Rilke was introduced to me when I was about 20, by a boy with whom I became pretty intensely obsessed. He was brilliant, quiet, thoughtful, awkward - that is, pretty much the exact opposite of all the lummoxes I tended to find myself attracted to at that age. He was also intensely religious in a way I found to be narrow and stifling, and also had some weird ideas about women. He would not have been good for me; being with him would have killed what I now consider to be all the best and most interesting parts of myself. Luckily, after stringing me along a little, he made it clear I was too messy for him and that was that. Circa 1995/96, when I first read this collection, this was far and away my favourite poem. 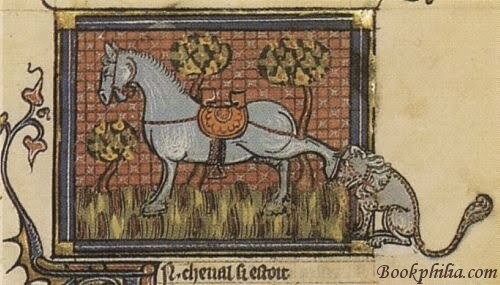 I still think it lovely in its simplicity and gentle desire - but it also seems very, very young to me now. Most of the pieces included in the section First Poems seem very young to me, and that's alright and sensible; I am no longer very young myself, and a great deal has changed in 15 years. nobody wants to know what they are. And perhaps that is nowhere near enough. as they pass things, they have to sing. And one hears some good singing then too. I am nobody and neither shall I be anybody. I shall be mowed down all the same. and tomorrow it will be too late. that once was somebody's dearest. I don't know if Norton was a great translator. This time around, I noticed how many of his choices in syntax and diction were awkward and ambiguous. Sometimes it seems as though he's simply reproduced the original German in its most literal possible English version. In some cases, this works really well, as in "Ich lag / im Silberhimmel zwischen Traum und Tag" (p. 30) which becomes "I lay / in the silver heaven between dream and day" (p. 31) - which is just a perfect, and perfectly beautiful, line. But of the poems I've included here, I'm sure you found yourself getting snagged a little on the syntax. And my husband, who can read German, questioned some of his choices, e.g., "Ich habe nur dieses eine Kleid" (p. 124) which seems more like a reference to dress as a general object (i.e., a set of clothes) than to a dress, singular; and, indeed, the link to another translation below has this as a set of clothes and not a dress - and specifying the gender of the poem's narrator if it's not there to begin with is a rather significant change. Apart from any inaccuracies Norton might have introduced, one would like a smoother read, and yet I still really like Norton's version; perhaps this is nostalgia's greatest power - it forces you to prefer that which may well be fatally imperfect because it's comfortable and it is part of your emotional and intellectual history. I found some other translations of The Voices here which are much smoother, and read more like poems written in English. And yet, Crego's choices seem so bland in comparison. They're clearly the same poems, and yet they don't snag me, in a positive way, the way Norton's do. Now, back to reading forward instead of backwards, and to developing non-metaphorical wrinkles as I forge bravely ahead into my mid-thirties. 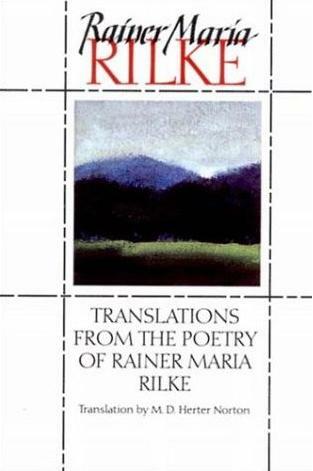 Not much of a poetry person, but I would like to read some Rilke at some point (I think OUP has a bilingual version coming out later this year which would be a good one for me). On another note, I'm not sure what surprised me more; the fact you're younger than me, or that 1995 was FIFTEEN YEARS AGO! Mid nineties. Odd boys. Poetry. Sigh. Think you've got a typo in the first poem, no? "Ways will I elet" s/b elect? Happy belated birthday! I hope you had a lovely celebration. I have read Letters to a Young Poet and would like to reread it sometime too. I have somehow managed to not read much in the way of Rilke's actual poems though. I keep meaning to but you know how it goes. I'll have to make sure I have his poetry on my shelf ready to go when the moment arrives. I had the same kind of experience reading Rilke when I was young (I'm older than you and Trapunto). I'm still fond of the translation I read then, even though it's been superceded by better translations since.